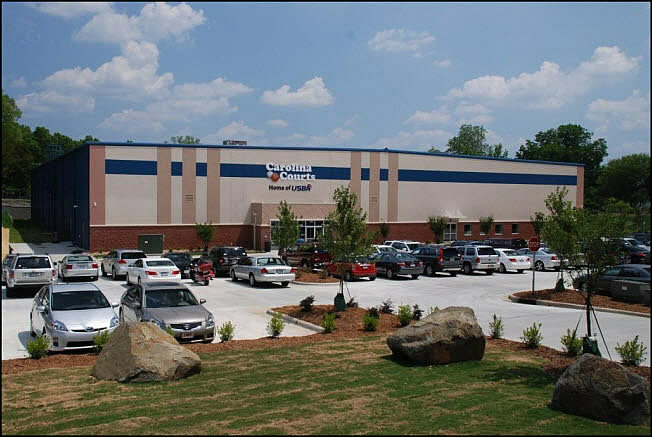 The in-house design department at S.C. Hondros & Associates, Inc. worked closely with the ownership and management of Carolina Courts to plan this indoor sports facility in Historic Downtown Concord. 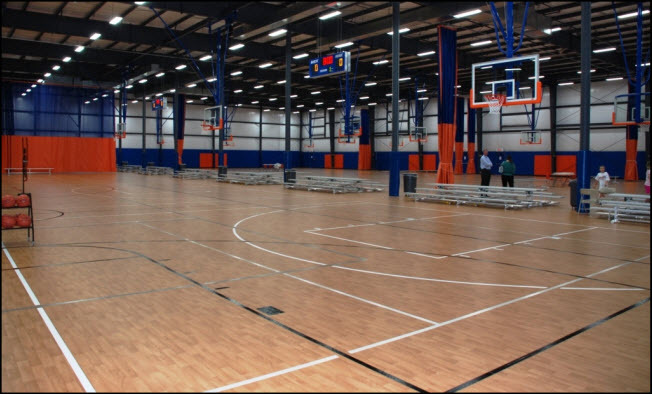 The facility features four high school regulation basketball courts, which double as eight middle school regulation basketball courts and eight volleyball courts. The Pre-engineered Metal Building, by Nucor Building Systems, is also home to a 3,200 SF fitness center. The site was the city’s former public works operations base and special considerations were made during planning and construction to minimize the impact on the neighboring Memorial Garden.